This course Introduce common derivatives, Forward Contracts, Option Contracts, Describe significant features of forward & option payoffs and Describe how forwards and options are used by market participants. KESDEE's e-learning solutions are relevant for the providers of financial services, as well as for users, regulators and advisors of financial services. KESDEE's e-learning courses are relevant for educational institutions in their certificate/diploma/ degree programs. KESDEE e-learning solutions are also available in Spanish. 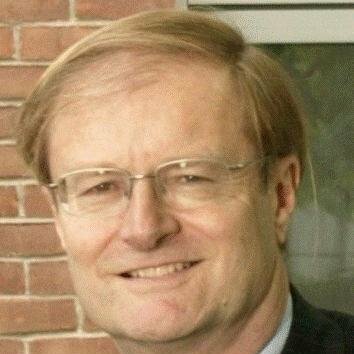 John Hull is the Maple Financial Professor of Derivatives and Risk Management at the Joseph L. Rotman School of Management, University of Toronto. He is an internationally recognized authority on derivatives and risk management. He was, with Alan White, one of the winners of the Nikko-LOR research competition for his work on the Hull-White interest rate model and was in 1999 voted Financial Engineer of the Year by the International Association of Financial Engineers. He has acted as consultant to many North American, Japanese, and European financial institutions. He has won many teaching awards, including University of Toronto's prestigious Northrop Frye award. He has written three books: “Risk Management and Financial Institutions” ( now in its 3rd edition), "Options, Futures, and Other Derivatives" (now in its 8th edition) and "Fundamentals of Futures and Options Markets" (now in its 7th edition). The books have been translated into many languages and are widely used in trading rooms throughout the world, as well as in the classroom. Prof. John Hull e-Learning from KESDEE is a complete program of study, taking the student from an introduction to the various derivative instruments through to the complex aspects of their pricing and application. Growth of internationalization has increased the use of derivative instruments in the financial markets. Futures markets provide the widest range of trading opportunities. It is important for firms to exploit and manage market risk, commodity risk, foreign exchange rate risk and interest rate risk. Hence, it is important to understand the characteristics of futures and forwards and their usage as a financial instrument for risk management purposes. Swap transactions which involve exchange of one set of cash flows for another, represent one of the cornerstones of derivatives trading. Since its inception, the swaps market has experienced phenomenal growth. Financial institutions and corporate treasuries are increasingly employing swaps. As financial institutions and corporate treasuries increasingly employ swaps and the market experiences further growth in size and number, a professional guide to understanding swaps is essential for the various participants. Know common derivatives and their features. Understand the use of futures to hedge different exposures. Know the working mechanism of interest rate and currency swaps. Examine how financial institutions create a market in swaps. Calculate yield to maturity and par yield, forward rates, and duration. Understand primary interest rate futures contracts and the concepts that underlie their use. Understand the zero curve calculated from LIBOR and swap rates. Valuation of swaps as a series of forward rate agreements. Valuation of swaps as the difference between a fixed-rate and floating-rate bond. Every professional involved in the global financial services industry (as a provider, user, regulator or advisor of product/services, marketplace/exchange) would benefit from KESDEE's innovative solutions. John Hull Derivative Course Library of KESDEE is approved for 6 (Six) Continuing Professional Education Credits from NASBA.